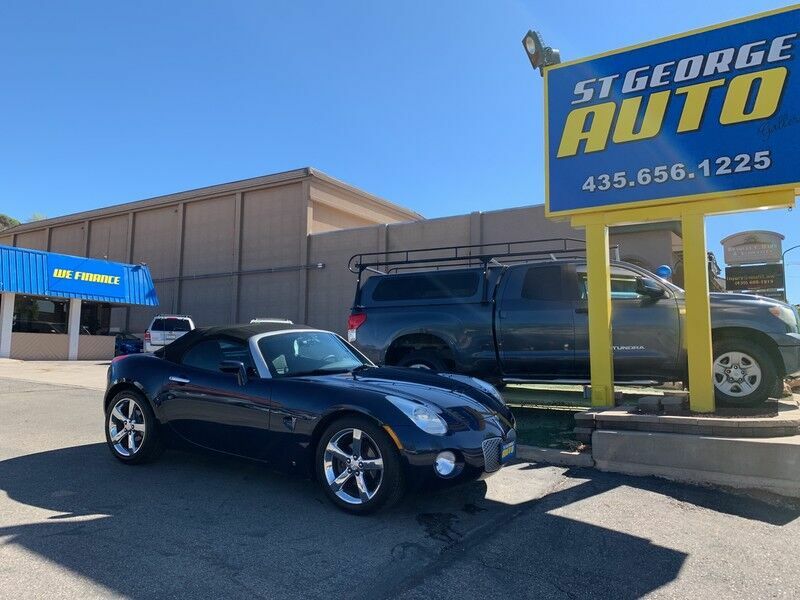 ST. GEORGE AUTO is honored to present a wonderful example of pure vehicle design... this 2006 Pontiac Solstice only has 147,077mi on it and could potentially be the vehicle of your dreams! The Pontiac Solstice is a well-built, yet compact and enjoyable ride that is unmatched by any other convertible on the road. With the ability to easily switch between having the top up or down, you'll be able to go about your weekday routine without feeling like you've sacrificed the weekend thrills. This vehicle has extremely low mileage on the odometer, so while it's pre-owned, it's practically new. You can finally stop searching... You've found the one you've been looking for. Just what you've been looking for. With quality in mind, this vehicle is the perfect addition to take home.